The personal injury trial attorneys at Lebowitz & Mzhen Personal Injury Lawyers have represented a number of parents and minors in birth injury cases throughout Baltimore. While bringing a new life into the world is one of the most exciting and rewarding experiences that many parents experience, it can also involve moments of worry, anxiety, and fear. Expecting parents place a great deal of confidence in their doctors to choose the appropriate treatments and act quickly to address any urgent needs. Unfortunately, some doctors fail to treat mother and child with the care and attention they deserve, resulting in substantial harm to the baby during the delivery process. At Lebowitz & Mzhen Personal Injury Lawyers, we understand the complicated legal and medical issues that are involved in birth injury cases, and are prepared to fight for the compensation that your family deserves. A birth injury is a type of personal injury case, which requires the plaintiff to show that the defendant failed to treat the patient with the appropriate standard of care, and that the defendant’s breach of the standard of care caused the plaintiff’s damages. To establish that a medical professional acted negligently in the care and treatment of a fetus or baby, the plaintiff must prove that the defendant failed to use the same practices and procedures that other medical professionals use within the same geographic area when treating patients who have a similar disorder, condition, or disease. This standard takes into account the patient’s age, background, and medical conditions. After establishing the appropriate standard of care, the plaintiff must show that the defendant’s treatment and care of the plaintiff, such as a pregnant mother and her baby, failed to comply with the standard of care. Next, the plaintiff must establish that the defendant’s breach of the standard of care was a direct cause of the injuries that the mother and/or baby suffered. Common errors committed during the birth of a baby include failure to pay attention to the fetal heart monitor, failure to protect the baby from the umbilical cord, and forceps errors. After establishing that the defendant breached the standard of care, and that the breach caused your or your baby’s injuries, you must provide evidence of the damages that you have suffered. Common examples of injuries that a baby can sustain during birth as the result of a medical professional’s negligence include traumatic brain injuries and cerebral palsy. A mother may also suffer injuries during the birthing process as a result of a medical professional’s negligence. In a birth injury case, a plaintiff may seek compensation for medical expenses, ongoing medical care, physical therapy, long-term care, loss of earning capacity, and lost wages. In some cases, a close family member may be able to bring a claim for loss of consortium if they have suffered loss as a result of the injury to their loved one. At Lebowitz & Mzhen Personal Injury Lawyers, we know how difficult a birth injury can be for the mother, baby, and family as a whole. Our seasoned professionals will help you evaluate your case and ensure that you seek the full recovery that you and your family deserve. 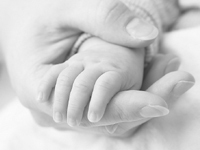 If you or a loved one has suffered a birth-related injury as the result of medical malpractice Maryland or the Washington, D.C., area, our lawyers are here to help. Contact us online today or call (800) 654-1949 for a free consultation.